The Disappearance Of An Entire Civilization. Solved! As far as mysteries go, disappearance of things or people even civilizations is not a thing of rarity. As someone who is obsessed with mystery, disappearance of things is the most common events and today, i'll be talking about the disappearance of the entire civilization of the Maya People. The Maya civilization was a mesoamerican civilization developed by the Maya people, famous for their hieroglyphic script, the only known fully arranged writing system of the Pre-Columbian Americans, also their arts, mathematics, astronomical system and even calender. So it very safe to say that the Mayans were also at the pinnacle of human civilization as of back in the Preclassic period c. 2000 BC to 250 AD. 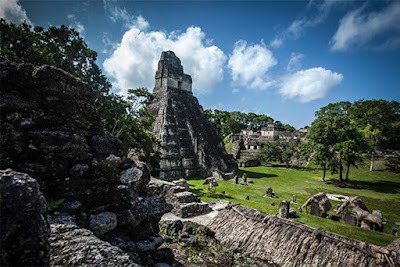 In the 2012, researchers in the university of Arizon state analyzed the archeological data of the Maya environments and found evidence similar to the theory first developed by historian Jared Diamond in his 2005 book 'Collapse'. The researchers found out that the Mayan people has cut down and burned so much of the forest that they altered their land's ability to absorb solar radiations which made cloud and rainfall scarce. It caused a chain reaction of natural occuring disasters such as erosion, drought, soil depletion which caused further hazard such as Agricultural failures, with less food, the people were forced to leave most of the minor and even major cities to avoid starvation and everything went down the drains. So, thats the story behind the Disappearance of what might have been the pinnacle of civilization when it comes to agriculture. If you have any questions regarding this particular topic or any questions check out Contact Us and get in touch with Us. Till next time! The Mystery Doorway Of Aramu Muru. The Mann's Family bizarre Incident. Carol And Helen Thomas Abducted In The Alleyway.